What is it about charms that get us all giddy like a doggy with a frisbee? It puzzles me really. Women of all ages even girls as young as Nikola go ga-ga over these miniature replicas you can string as jewelry. Either way, I'm pretty sure that most people will appreciate it as a gift this holiday season. Morellato has a wide selection to choose from at surprisingly affordable prices (i.e. you can get an entire bracelet loaded with a few charms for around P3,000 only). 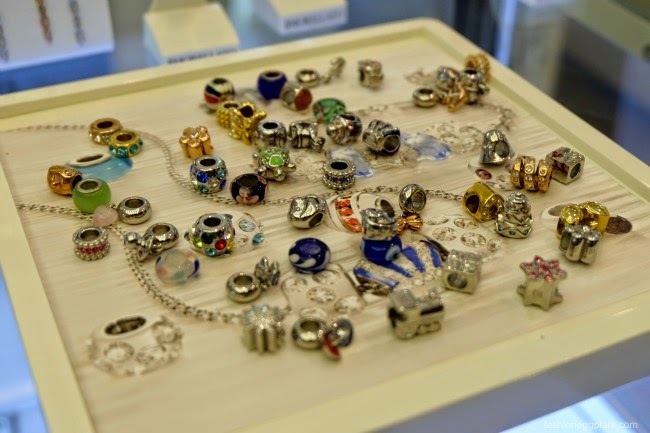 There's lots of new charms to choose from this Fall/Winter 2014. Choose between rose gold, yellow gold or silver and you can either string them onto gold/silver jewelry or even braided leather or satin in different colors. I got me a black leather bracelet that I loaded with pearls and silver charms encrusted with cubic zirconia. I wear it everyday and layer with the rest of my charm bracelets (because I have more precious moments in life than once bracelet can contain -haha, excuses). But what if you already have a ton of charm jewelry or are not fond of frills? A direct to the point, on the go woman who doesn't have to time to load on piles of jewelry but still appreciates pretty things? Morellato Drops are perfect for you and you won't see these anywhere else. They're protected by patent and only Morellato has exclusive rights to the design. Making its debut this holiday season, Morellato Drops are perfect to wear as an everyday watch but are also delicate and glitzy enough to match with all your cocktail dresses. 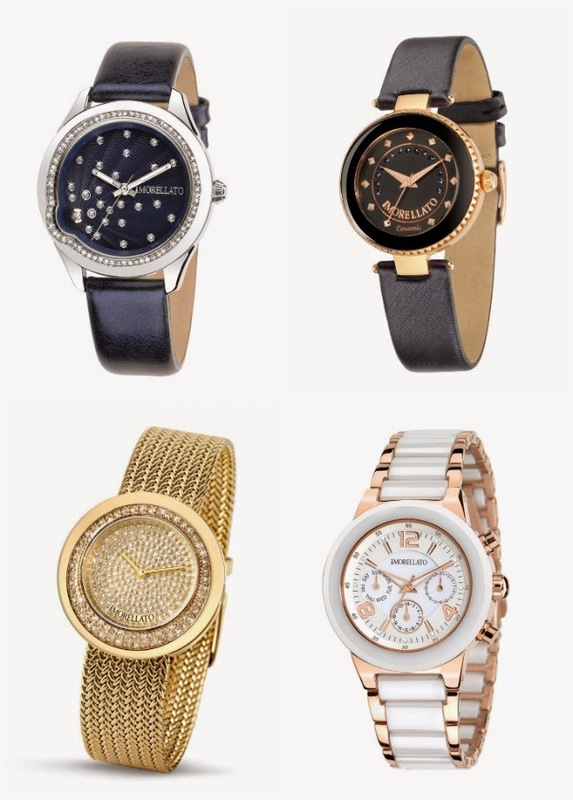 There are many watch faces and gold tones to choose from to match your taste and best thing? 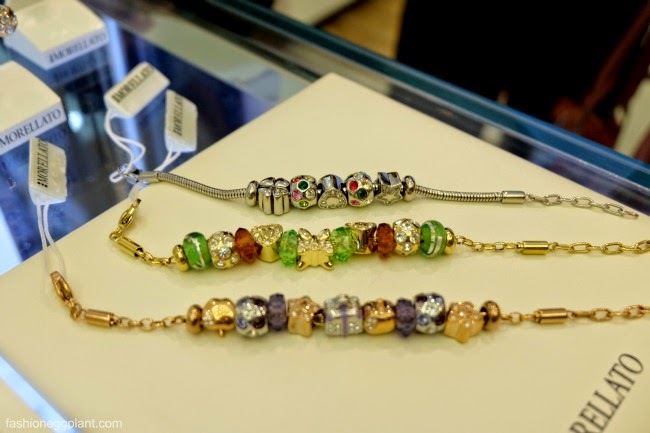 You get to personalize and adorn them with charms that bear a special meaning to you. How precious! How totally perf! Hahaha, not to mean to sound too much like a ditz but these are really pretty in person especially when you put them on and pair with an existing charm bracelet. They are so attractive. But wait, there's more If you still find that too dainty for you, they also have gorgeous watches that scream luxury but without the hefty price tag. Get a matching pair for you and your beau. They have beautiful pieces for men as well. Just like shoes, you can never own too many watches!